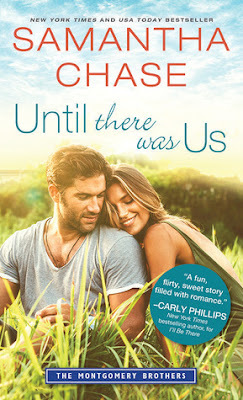 Until There Was Us was a super cute read. I loved Alex so much! He was wonderful! And although Megan could get on my nerves at times, I understood where she was coming from and still loved her. 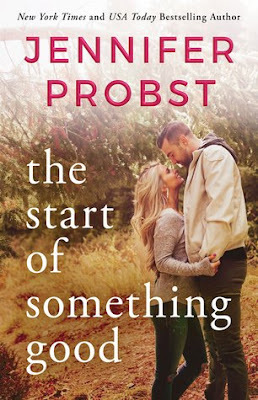 This was another great read from this author. Megan and Alex hooked up once at her cousin's wedding. They tried to make something work long distance after that, but it just didn't work out. For one thing Megan is married to her job and that always came first so there wasn't really room for Alex. It has been two years, but both of them are still thinking about the other. When Megan moves to work at the family company, the same place where Alex lives, things get a little tricky. Because Alex is friends with her cousins and is around a lot. And he wants to try and see if things could work out this time, but Megan is not one to jump into things. She has to think about it and analyze it from every angle before she can do something. She has some issues to deal with, some things that she didn't even realize were affecting her, but Alex was so sweet with her. He is willing to give her the time that she needs to be ready to date. She needs to get settled into her job and find a place to live and a car and everything before she is even ready to think about being with someone. And that is fine with Alex. He understands and is there for her however he can be. Of course they both still really like each other. I mean it has been two years and they are both still thinking about each other. Megan could get on my nerves at times because she was so cautious and felt like she needed to work all the time. She wanted to have a better work-life balance, but she didn't do much to really do that. Good thing she has Alex and her cousins who won't let her live at the office. I understood why she was like she was, and I loved her, but I also wanted her to get some help so she could live a less stressful, lonely life. I wanted nothing but the best for her. And Alex is such a sweetheart. He doesn't crowd Megan, but he lets her know he wants to be with her. Because she is pretty amazing. The two of them together were wonderful.